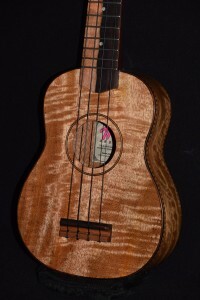 Our koa soprano is now bigger and badder! 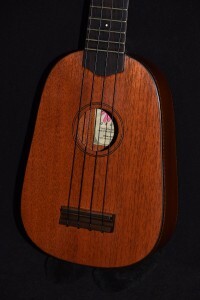 The body has been widened (by 3/4″) and deepened, and the soundhole slightly enlarged, to give it a richer, fuller tone. 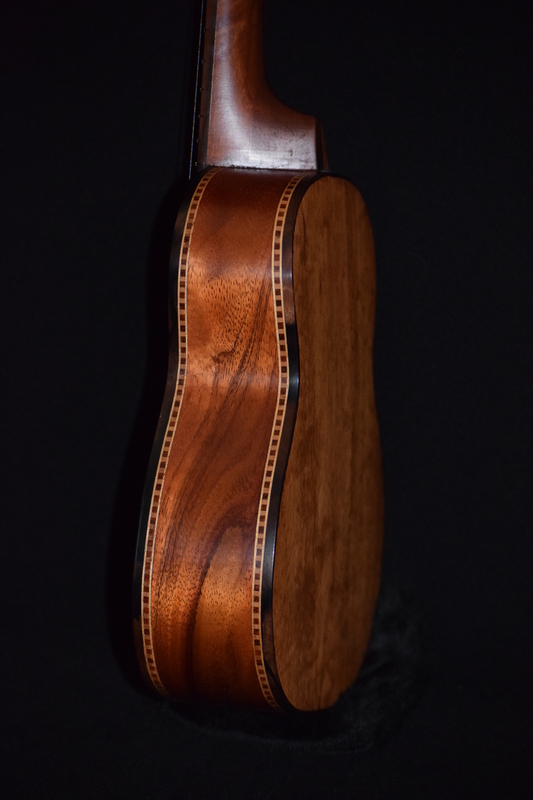 Because the body is slightly heavier, we’ve also been able to upgrade to the Waverly-style geared tuners (the same ones we use on our $1000 models!) 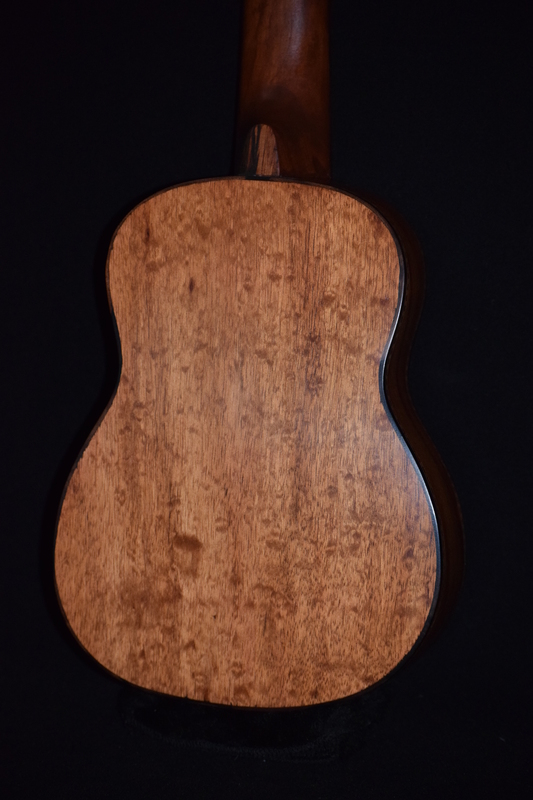 without making it neck-heavy. You’ll be blown away! 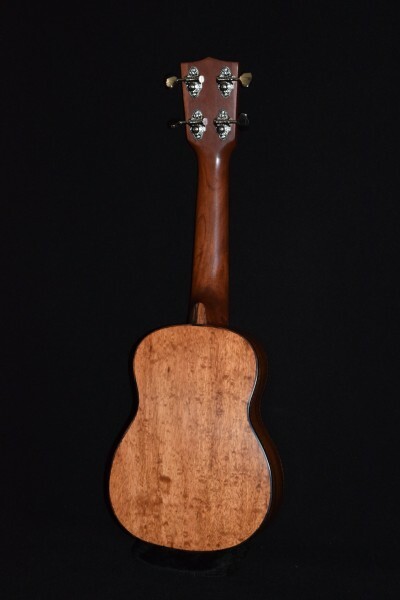 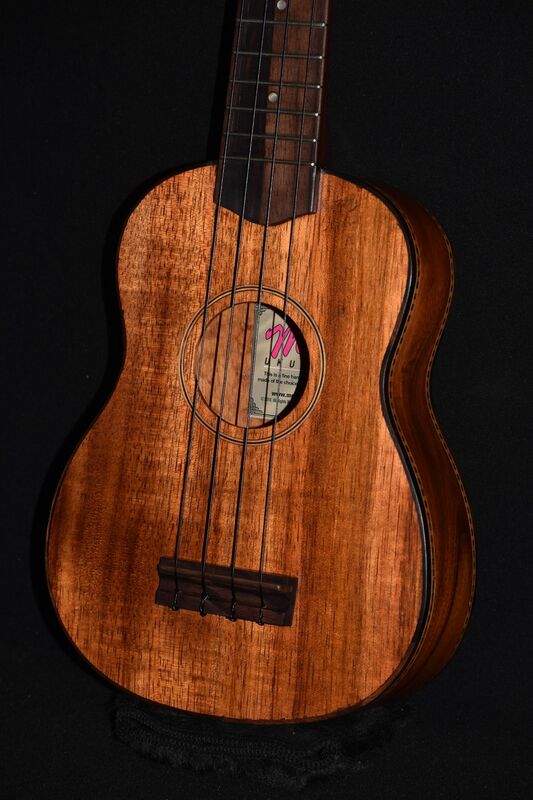 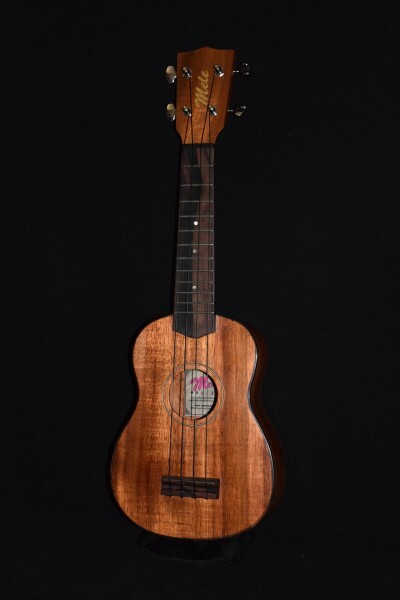 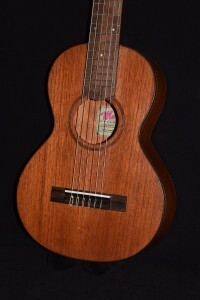 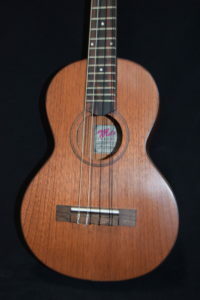 It sounds awesome, plays great, holds its tune better than ever- and at this special sale price, it actually costs less than the older, smaller Mele Koa Standard (now discontinued) which had friction pegs, rather than these lovely geared tuners.